Software is more than a set of instructions for computers: it enables (and disables) political imperatives and policies. Nowhere is the potential for radical social and political change more apparent than in the practice and movement known as "free software." Free software makes the knowledge and innovation of its creators publicly available. This liberation of code—celebrated in free software’s explicatory slogan "Think free speech, not free beer"—is the foundation, for example, of the Linux phenomenon. 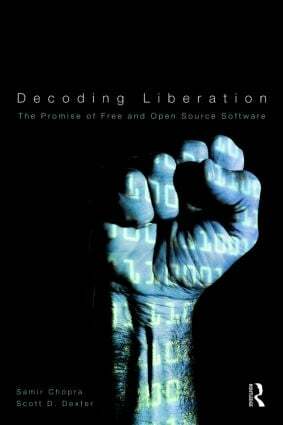 Decoding Liberation provides a synoptic perspective on the relationships between free software and freedom. Focusing on five main themes—the emancipatory potential of technology, social liberties, the facilitation of creativity, the objectivity of computing as scientific practice, and the role of software in a cyborg world—the authors ask: What are the freedoms of free software, and how are they manifested? This book is essential reading for anyone interested in understanding how free software promises to transform not only technology but society as well.